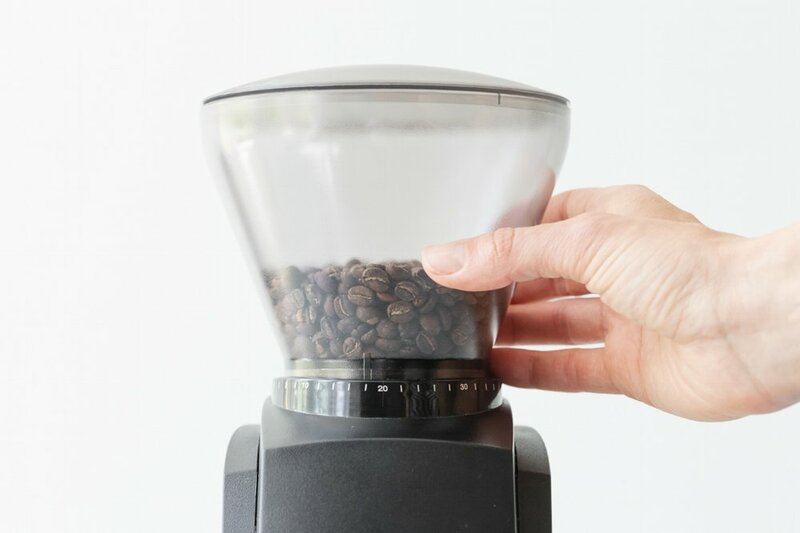 A while ago, we wrote about the importance of a proper grind on your coffee—going so far as to recommend particular grinders to jump-start your routine. Today, we want to lend you some support in case you’ve sprung for a burr-style grinder but are having trouble “dialing in” the grind. This term, “dialing in,” is an absolutely necessary step in making a coffee delicious. It simply means finding the ideal grind setting for a particular coffee and a specific brew method. This seemingly straightforward pursuit is complicated by the fact that there’s no “one-size-fits-all” setting on your grinder, because each coffee consists of beans of varying sizes and densities, and moisture levels continue to change after roasting. Dialing in the grind size is like finding the clearest frequency of a radio station. At the ideal setting, the brewed coffee is its most focused and balanced self. Slight deviations from this “sweet” spot—where the ground coffee is either too fine or too coarse—will give you over- or under-extracted coffee. To start you off, we’ll focus on the Pour Over brew method. When we hire new baristas, they train for weeks to learn the proper technique and how to taste their way to a dialed-in grind. If, at any moment, this feels overwhelming, think of this process like learning how to season as you cook. Trial and error may lead to a few disappointments, but more often than not, you’ll be amazed at the goodness a little more engagement brings. 1.Change only one variable at time. Remember the scientific method? 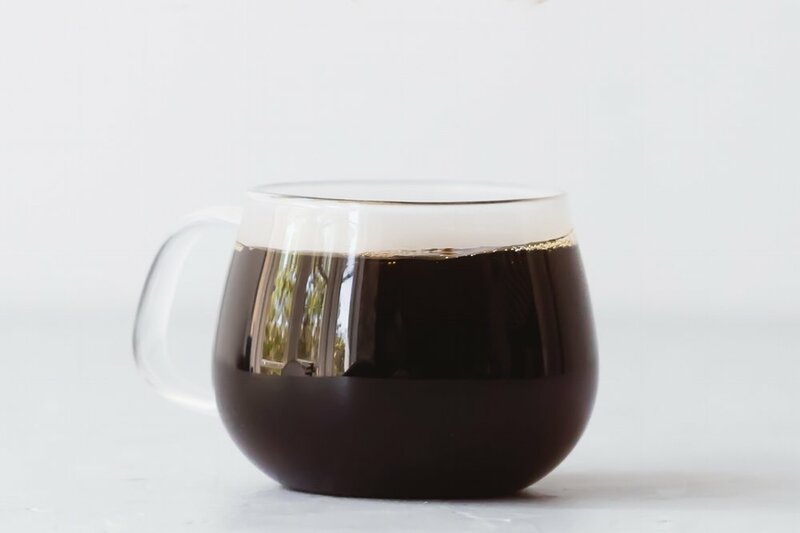 Anytime you’re figuring out how one step in your coffee routine affects the finished cup, keep every other step of your brew method exactly the same. In this case, grind size is the variable. Water temperature (it should be between 195℉ and 205℉), coffee dose, and technique should all remain the same from cup to cup. 2. Start at the setting you last used. New to dialing in and not sure where to start on the grinder? Make your first cup at the grind setting you last used. If the grinder is brand new, the middle setting of the grinder’s range is a good place to start. The blades will be extra sharp, so a new grinder may take a few more trials than an older one. 3. Keep the variation between grind settings small. After you’ve brewed one cup at what we’ll call the “baseline” setting, grind coffee for two more cups, one slightly finer and one slightly coarser than the baseline cup. Minute variations make a big difference, so adjust the grind setting by only one or two numbers (also called “steps”) on the grinder. So, for example, if your first cup is ground at step 20, then grind the others at 19 and 21. 4. Identify your own preferences. Before tasting the coffee, take a moment to identify your own taste preferences. If you prefer darker-roasted blends, or you love dandelion greens or alcoholic bitters, your tolerance for bitterness is more developed. Over-extraction will either be harder for you to detect, or you may have a higher threshold for it. If you love single origins, particularly from East Africa, or you tend toward sour or citric foods, you may have a higher threshold for “brightness,” or acidity, and therefore have a greater tolerance for under-extracted coffee. 5. Taste the coffees, noticing where the flavors hit in your mouth. Here’s the moment you’ve been waiting for: a side-by-side comparison. Taste the coffees, slowly, one by one. Notice where the coffee’s flavors land in your mouth. We’re looking for a coffee whose natural sweetness is fully present, with proper development of acidity to back the sweetness up. If you notice that the coffee tastes unpleasantly sour, and the taste hits at the sides of the mouth and tongue—if it makes you pucker—then the coffee is under-extracted and the grounds are too coarse. If you notice that the coffee tastes bitter and the taste lingers unpleasantly at the back of the tongue, causing you to want to sip water to clear your palate, then the coffee is over-extracted and the grounds are too fine. 5. Beware: Blends and single origins present in slightly different ways. In addition to the descriptors above, blends and single origins present off-flavors in different ways. An under-extracted blend tastes empty, as if it were on the verge of flavor, like a piece of unripe fruit. An over-extracted blend might taste like burnt sugar. An under-extracted single origin tastes empty, too, but with the addition of sourness. Some people perceive single origins (depending on the country of origin and roast level) as “sour” or “acidic” anyway. But while a properly dialed-in single origin may have brighter characteristics, the acidity is just one part of a whole, where the coffee's natural sweetness presides. An over-extracted single origin resembles over-brewed black tea, full of bitter tannins. 6. Be open to brewing more than one test-batch. If, after your first three samples, you feel like you’re getting closer to the sweet spot, but haven’t yet arrived, make another test batch, using your preferred coffee as the new “baseline” cup. 7. If you’re buying a bag of whole beans at a cafe, rely on a barista's expertise. Visual aids can do wonders to orient you. Ask a barista (who’s not too busy) to grind a little of your purchased coffee at the approximate grind size for a given brew method. 8. Be patient; you're building a new skill. Our baristas dial in the coffees we serve in our cafes every morning because we want to serve the coffees at their maximum clarity. You, at home, needn’t go this far. Take your pursuit of clarity as far as you wish to go. We promise, though, that developing this rudimentary skill will make your coffee routine all the more delicious—as if you have a barista in your own kitchen.